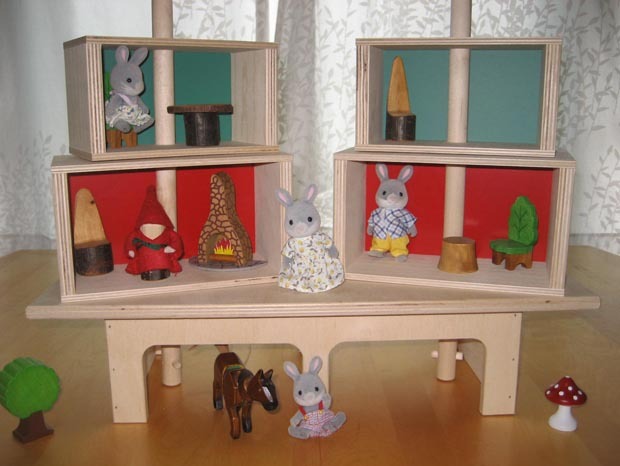 * This versatile Doll House is really a "play platform", perfect for all sorts of imaginative play. * It is a flexible doll house, a fun elf or fairy home, a castle for knights.....whatever a creative mind makes it!. * Great for individual or social play, rooms are stacked and pivoted to allow easy access from every side, so two children can each have "their own" space. 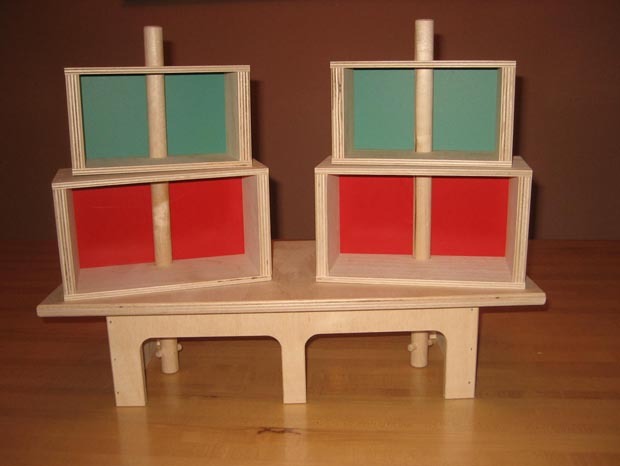 * Sturdy Baltic Birch plywood anchors this fun and flexible Doll House. * Assembled dimensions are 19" wide x 9" deep x 15" high. * Fully assembled Baltic Birch base with four individual rooms. * Rooms stack by sliding over central posts. 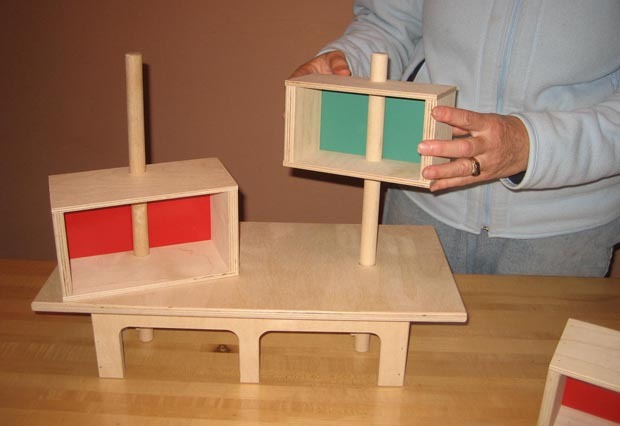 * Entire Doll House may be easily carried, holding the top of the two central posts. * No hardware, simply slide parts together and have fun!. * Fully assembled Baltic Birch base, four rooms, two central support posts.